A writer’s idea of a writing career has to change. Jane Friedman said this in a webinar I attended recently, and I’ve been mulling it over ever since. I’m also wondering if a writer’s idea of a brand has to change. I wrote about the importance of developing your author brand in my last post. Jane retweeted it (thank you Jane, you’re fabulous) and I noticed that one of the responses was a tweet that said, This kind of thing makes me despair utterly. So I wanted to stress that I write about brands not as a marketing tactic, but as unmarketing. And unmarketing means that your brand is so remarkable that you don’t have to market it; it markets itself. And you develop a remarkable brand by being a remarkable writer. Online, you are your content. You are your voice. And your voice and your content combine to form your brand. So great, well-written content = great brand. Mediocre content = mediocre brand. The reason why a brand is necessary for survival is because it doesn’t just promote, it filters and curates. As the distribution barriers collapse and more and more people publish online, readers need to know where to go and who to trust in order to find great material without sorting through all the crap. If readers trust you, and your well-defined creative vision, they will go to you to find cool stuff to read, and also to share and recommend to their friends. Your brand stands for who you are and what you write about. It stands for a personality and set of values that readers can identify with. In the new, still-emerging model of publishing, your brand is no longer solely defined by your books. It is defined more and more by your online presence – your blogging and microblogging and interaction with your community – and supported by your books. This gives your brand the opportunity to grow and evolve, because your readers can share that process with you. In the old model, a writer switching genres also had to change names, so as not to confuse the reader. Readers did not want to pick up a Stephen King novel and discover that it was a romance. As a result, writers got trapped in a ‘box’: expected to deliver a certain type of novel each time. Once a horror writer, always a horror writer (or secretly a romance writer under a different name). In the new model, things will work a little differently. You can’t hide who you are online (and if you’re not willing to be online in the first place, editors and publishers will be much less enthused about working with you). So a pseudonym will work not to disguise a writer’s identity but to signal a different type of novel (for example: it’s a well-known “secret” that John Banville and Benjamin Black are the same guy, but Banville novels are literary novels and Black novels are mystery-thrillers). And since, as Dean Koontz once observed, “readers will follow you anywhere” – because readers become addicted at least partly to your voice, your worldview – readers will have the chance to follow the writer into a genre they might not have considered otherwise. So instead of being trapped in a box – or two or three boxes separated from each other – writers can use pseudonyms to develop different dimensions of the same central, defining brand. The box disappears, and the “brand molecule” takes its place: one aspect, idea or message gradually developing out of another aspect, idea or message. What holds the brand together will no longer be a specific type of book, but the voice and worldview of the author herself. A writing career will no longer present itself to the audience as a succession of books with long gaps of silence in-between. A writing career will be more like an ongoing and steadily evolving process, shared online and interacting with readers….with few, if any, gaps of silence at all. The process won’t be so easily divided into writing and marketing; the writing is the marketing. Writers should no longer think of themselves as just one type of writer – just a novelist, or a poet, or a short-story writer. Writing on and for the Web will demand different manifestations of your talent. And if you’re going to be online on a near-daily basis, it’s not just about socializing and chatting people up. It’s about having something to say, consistently, that will attract the right type of reader (who will go on to pay money for your work). Which means you have to be passionate about whatever it is that you’re blogging and filtering day-in and day-out for the people formerly known as your audience. Otherwise you won’t be motivated enough to put in the work and time that the process requires, and your writing won’t be charged with the kind of electricity that draws in new readers or keeps old ones hanging around. Because you have to love the process. You have to embrace it – all aspects of it – as an expression of your soul. In other words, you develop your brand by writing close to your soul. Which means that, over time, your brand has the chance to take you — and your readers — to some unexpected places. This is brilliant — thank you! Rather than despairing, I celebrate these changes, b/c the reader has always been something of a co-creator of the work, and now writers have the benefit of interacting with their readership on an ongoing basis, in a dynamic, ever-evolving discussion. Your posts have given me so much to think about — thank you for putting your thoughts out there! I have been meaning to write these exact words. This is super. Brilliant. Much gratitude. your soul is your brand. I like the author-as-brand theme you’ve developed here. You have obviously given this a lot of thought and we all get to benefit from the effort you’ve expended. Author name = brand identity = genre. Writing process more interactive, collaborative, exposed = authenticity = connection with readers. Does that bring us back around to the idea of writing for our tribe? If our voice is pleasing to our tribe we become a symbol of quality content which can transcend genres (though we want to signal to our followers we’re changing gears by perhaps using a different name). Perhaps genre isn’t even the right distinction. I used it because it was the example you used in your post but any significant change, such as writing style or voice, could be indicated by using a pseudonym. I’m currently reading (along with six other books [!] according to my Goodreads profile [how am I reading so many books at once?]) The Lemoine Affaire in which Proust takes on the persona of several different authors to tell the story. His “voice” changes in each of these vignettes. So it occurs to me authors may desire to “try out” different writing styles without disappointing her current following and could signal a change from the norm by changing her pseudonym. I think there are examples of this in the music industry though I’m not enough of a musicologist to cite one off the top of my head. In any event, many good ideas here to consider. Thanks for sharing your labor with all of us. It occurs to me that musicians are already in this world: the retail pipeline is small and getting smaller, the big payday of a record contract no longer available for anyone, the big performing venues controlled by a two-firm oligopoly that severely restricts access to any part of the long-tail, which leaves the following money-making opportunties: a web-site selling music and gear, tee-shirt sales at concerts, and long-tail markets like the local bar, which have a high dollar-per-hour of work cost. Music agents are no longer gatekeepers, but function as clerks. The old dream — a record deal guaranteeing a wealthy life of leisure in return for 10 songs a year and a three-month tour — is no longer available, and has been replaced by enormous full-time effort chasing one sale at a time. So, how is this working for musicians? What do your musician friends tell you about this life? Writers dread this future, but musicians are living it — what do they tell you, Justine? And I think it’s always been about chasing one fan (not ‘sale’ so much) at a time, until you reach that tipping point where fans bring in other fans who bring in other fans; bands had to build that initial, hometown fanbase in order to get the gigs they needed to get the performance experience they needed to get great enough and buzzed enough to get a shot at that record deal in the first place. In any case, I actually don’t think the old traditional publishing model will disappear entirely; unlike music, I think people will still ‘need’ physical books and want them on their shelves. Also, the issue for writers, printed or digital, is still about how to get read, how to reach readers, and I think traditional publishers (the credibility they impart) will continue to play a major role in that (the smart ones, anyway). I think ‘success’, however you want to define it, is still just as difficult as it ever was. But I also think the traditional publishing model — having been through it myself — is a better, less-broken place for writers now that there’s a new model emerging to co-exist alongside it. 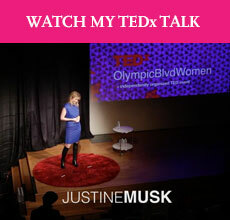 Justine – You have brilliantly captured what it means to be a writer today. In a world where we are bombarded with more and more calls for attention, we increasingly value those who can help us increase our return on attention by becoming trusted filters, not just presenting us with their work, but sharing the work of others. My co-author, John Seely Brown, and I just launched an interesting experiment with a new website http://www.edgerati.com. We use this website to give visibility and honor those who have influenced us. We have gotten a great response to this – many people have reached out to say how exciting it is to go beyond our writings and be able to access a very diverse group of writers and thinkers who have shaped our thinking. I think you nailed it. Our brand is not something artificial that we create to market ourselves, the most powerful brands emerge from being authentic and sharing ourselves with others, becoming more and more helpful to our audience and, in the process, becoming more trusted as curators and guides. In a world of manipulation and posing, that can be incredibly powerful. I just need to get back to my regular social commentary and get my daily commentary off of Facebook. I’ve neglected that side of my writing even though I miss it and consider it a very important part of who I am. I find myself empathizing with the despairing Twitterer above just a little bit. When you don’t have enough faith in what you’re writing, or maybe you don’t have the skills yet to write the kind of compelling content you’d like to see, then this can seem harsh. But it’s also an opportunity. You have the chance to improve your writing. You can write “closer to the heart”, and develop yourself and your content. And hopefully, the audience will find you. But that’s the part that I think is missing from what you’ve said above. What enables an audience to find you IF you’re writing the kind of great, compelling content you’ve mentioned above? This is exactly what I’ve been trying to get at, except I’ve been fumbling. In my circles, there’s unreasonable resistance to the b-word. It signifies some sort of inherent fraudulence. As a fiction writer with a history in creative branding and marketing writing, this resistance demonstrates a widespread misunderstanding of what a brand is, and how it’s done, and how it applies to creative ambition. So… well said. Thank you.